From pain management and natural hair growth to energy and digestion, hemp seed oil is an important part of any plant based melanin diet! Hemp oils are rich in Omega-3 and Omega-6 fatty acids and tons of minerals and vitamins including vitamin E, phosphorus, potassium, sodium, magnesium, sulfur, calcium, iron and zinc. These fats and minerals may support anti-inflammation, hair, skin, nails, blood pressure regulation, and heart health. While the term ‘hemp oil’ is often used interchangeably with cannabis or CBD oil, the difference is that hemp seed oil is made from cold-pressing hemp seeds and usually contains little or no THC and very little CBD compared to other cannabis oils. In fact, most hemp oils contain less than 0.02% CBD compared to as much as 15% CBD found in other oils. Since there is very little THC found in hemp oil, there are no psychoactive effects. Translation: hemp seed oil does not get you ‘high’, but offers a number of health benefits as a nutritional supplement. However, if you are looking for something that offers more substantial psychoactive benefits like improved mood and better sleep, look to other cannabis oils. Here is what you need to know to add this miracle oil to your daily regiment! 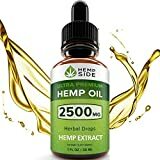 CBD, cannabis, and hemp oil is going crazy right now. There has been an explosion of products and websites that are taking the industry to new heights. The problem for consumers, however, is that there is so much going on that its easy to get confused! Hemp oil is the easiest way to ‘experiment’ with health and therapeutic benefits of cannabis derived oils. Its legal, easy to find, and easy to incorporate into your lifestyle. Hemp plants are part of the cannabis plant family that includes its more infamous cousin, the marijuana plant. Marijuana and hemp both come from cannabis plants and both have THC and CBD. However, marijuana has higher concentrations of THC (the stuff that gets you high), and lower levels of CBD. Hemp is just the opposite – there are lower levels of THC and higher levels of CBD. THC is responsible for giving the user the high or stoned feeling while CBD is not psychotropic. 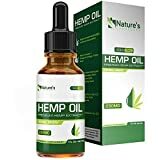 Hemp oil – also called hemp seed oil – is an extract from the industrial hemp seeds that are cold pressed to produce that delicious liquid gold. It is important for you to note that even though there is CBD in hemp stalks and leaves, there is very little in the seeds! That does not mean hemp oil is useless. Quite the opposite! Hemp seed oil is popular for its flavor and the high levels of unsaturated fatty acids like Omega-3 and Omega-6. This makes hemp oil a great recipe for you chefs out there. If you are still not convinced, we wrote an entire article on the benefits of hemp seed oil that you can read here. Studies suggest that CBD infused hemp oil is a reliable alternative to addictive painkillers. 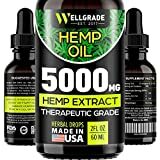 According to a 2011 study on the effectiveness of cannabinoids in the treatment of chronic pain, it was demonstrated that those who used hemp oil showed improvement without any serious side effects. When it comes to the treatment of rheumatoid arthritis pain, CBD has been reported to reduce inflammations. Hemp oil also reduces inflammation without causing bleeding or ulcers which is common with other anti-inflammatory medications. CBD infused hemp oil has even shown positive promises in the relieve of neuropathic pain associated with Multiple sclerosis, HIV and other chronic nerve pain conditions. There are a few things to pay attention to when looking for a good hemp oil for pain. When buying hemp CBD oils, make sure that you choose those that are organically grown to minimize on potential exposure to harmful chemicals. There are two types of CBD out there – ‘full spectrum’ and ‘isolate’. Full spectrum means that the product contains CBD as the main ingredient and traces of other cannabinoids and terpenes for improved healing capacity. On the other hand, an isolate consists of only CBD. CBD isolates can cause adverse drug interactions compared to full-spectrum CBD products which have a lower rate of adverse reactions. Avoid companies that use flavoring, thinning agents or any other potentially harmful ingredients. This is especially useful when it comes to vaping products. 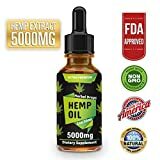 If you are looking for hemp oil for sale, you can find products that meet our standards on Amazon. Here are the best selling hemp oil products we have found below. 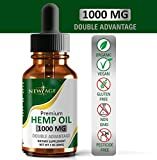 FAIR DEAL - get 1oz (30ml) with 2500mg of pure premium hemp extract for a price of a 250mg average bottle. Save your money! Our oils are full spectrum and contain a variety of essential vitamins, minerals, fatty acids, protein, terpenes and flavonoids. 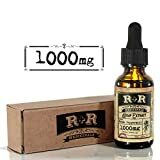 AMAZING DEAL - get 1oz (30ml) with 1000 mg of pure premium hemp extract for a price of a 250 mg average bottle. Save Big!